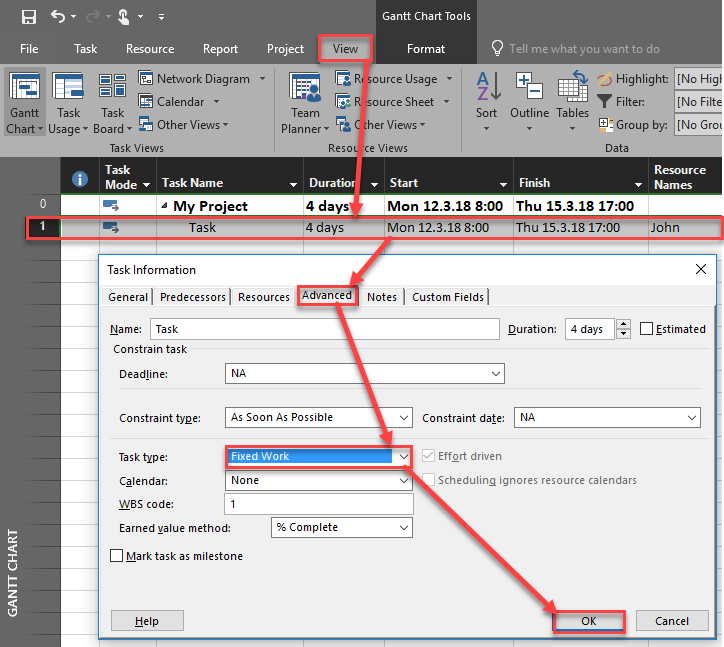 Fixed work Task Type with limited Resource availability in MS PROJECT 2016! my Blog reader run into problem with limited Resource availability. I will show the scenario and explain it with MS PROJECT 2016. John and Mary will work 8 hours each at Tuesday, e.g 16 hours together. Now, 24 hours – 16 hours = 8 hours left for Wednesday. This is how MS PROJECT works.